Spirits were high when the luxurious Wax Wind skyship made its maiden voyage from Clementine one warm Noonsday evening. But the Wax Wind would never reach its destination. And its passengers would never be heard from again. Follow the stories of these passengers as they struggle to survive the nightmare they'd unknowingly stepped into, and unfurl the cryptic conspiracy that had devoured them all. 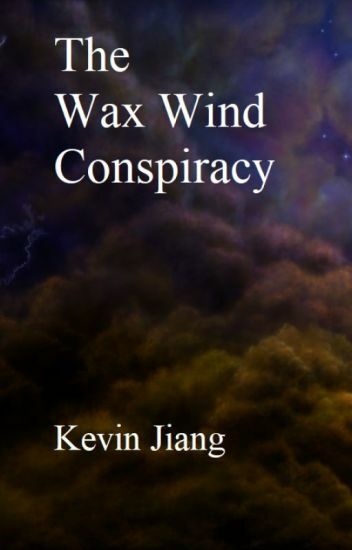 The Wax Wind Conspiracy is a fantasy murder mystery set aboard a massive airship in a world of strange creatures, awful food, and weird magicks. But, in the end, it's a story about people. Updated every Monday and Friday. What's the worst nightmare you've ever had? Ghosts and your crush finding out your secret, you say? Wow, pitiful. Now, I thought the worst dream I ever had was getting chased by a giant greasy burrito yelling "CHORIZO!" and now I fear Mexican food (that and it provides a 12 hour journey in the bathroom). Besides the point, you have no idea what hell is until you get stuck with a cheeky, obnoxious girl who is actually your long lost enemy and now the both of you have to go save a place from emotional destruction. To you, it may not be so harsh, but to me, I wish the chorizo burrito had taken me already. How we banded together, you ask? Well, we aren't like you. We're...different. Some may say that we're like the X-Men in a way. I think a better term would be what you kids might call....freaks. (Includes Jelsa and other Disney/Dreamworks Characters) I OWN NOTHING BUT MY OC'S. After Daniel's death Ryan was forced to deal with it. He didn't know how to and neither did Matt. Maybe a new start was what Ryan needed. A new start apart from the loss of Daniel. I'm not very good but some people seem to like my drawings on paper.. So I guess I'll just start posting what I doodle here! :3 If anyone wants me to draw them a lil doodle you can comment or whatever XDD. Have an amazing day/night kits~! Herah was many things: an artist, a zealot, a fighter, and now, an unwilling participant in Recompense. Nothing special, just a high-stakes game created by Norwe, the Maker of Herah, which if won would grant her a single wish. Of course, with such a great prize on the line there was an equal price which had to be paid. Which meant loss equated to bye-bye universe. This doesn't even account for how other participants, hostile environments, and pretty much all sentient life that wasn't herself would definitely be challenges that Herah would have to overcome to not only win but to survive. Recompense truly was a battle of the fittest. But with a broken No.2 pencil, a nervous master smith, a too trusting liar and an honest, omniscient jackass, Herah had Recompense in the Bag. After all, Herah was a master artist, and she considered battle exactly that: an art. "Criticism, like rain, should be gentle enough to nourish a man's growth without destroying his roots." Welcome to my review book! I am so excited about this being my most popular story with over 80 views already. Unfortunately, I'm not going to make this last very long due to the limited amount of time I have to write all this down. However, I might make a Cover Shop book soon to make up for it. Hope you enjoy this book while its out. Sorry if I criticize your story too much. I'm just giving an honest opinion. Thanks for all the support! Enjoy. This is a preview of my all-new web serial story, which you can read at anytime at atl.quinlancircle.com . This will only be the first chapter, but on the actual website the story updates on Tuesdays and Fridays. So if you enjoy this preview, please read the rest! The universe is full of tales expeditions, legends, and powerful beings that surpass the destructive power of planet destroyers. But we will focus on one legend and only one Gloklar. Gloklar is the most powerful bounty hunter in the universe who has many feats that he has accomplished. The following story is but one of them. Three teenage girls, living on the colony ship Horus One as it makes its thirty-year journey across space,  have found themselves in an awkward romantic triangle. After some dramatic discussions and love confessions, they have decided to try out an unconventional relationship-- they're going to date each other. This is their story, one week in. This is a one-shot story for a concept I came up with recently: space sci-fi and teenage polyamory. I wanted to see how this concept would play out, so I made a proof-of-concept to show here. I plan on making a full version of this premise later on, but if you read this story, please give any feedback that you may have! I'd really like to know what works, what doesn't, and any ideas you may have for a full novel version of this story.